As the Nokia Lumia 800 will be released on three carriers in the United Kingdom, there will be competition as to which provider can move the most units. In that spirit, Orange, a well known carrier, is posistioning to become the leading purveryor of the new Nokia handset. As a reward to early pre-order customers, Orange is offering up a free Xbox 360 console. We assume that it is the cheap version. Of course, the company notes that its stock is limited. Anything to drive initial demand, right? Why the Xbox tie-in? Aside from the fact that the Xbox line is a functional halo product for Microsoft’s other consumer tech, the Windows Phone and Xbox platform are quite interlinked. The Xbox LIVE service is present on both (and is coming to Windows 8, as you know), and WP7 handsets share Zune and other elements the console contains. Microsoft has been selling Windows Phone as united with the Xbox since the platform’s launch. But deep down, this is simply the giving away of an inexpensive Internet-enabled computer with a hot new phone to spur quick sales. It will work. 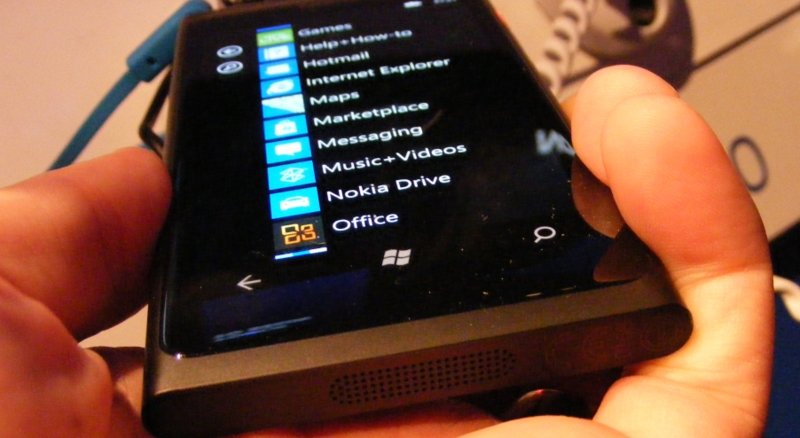 The Lumia 800 itself, in case you missed all the hubbub from the morning, is a device that some are finding compelling, and nearly all agree is a step up from previous WP7 hardware iterations. Nokia is also baking in turn-by-turn navigation (a first for Windows Phone) and ESPN content to further differentiate itself from other WP7 OEMs. Everyone wants to be different, right?